Jeremy Cowan, Founder and Owner of Shmaltz Brewing Company, decided to follow a whim and pursue an experiment that had been a sort of inside joke with his close group of friends from high school – a beer called “HE’BREW – The Chosen Beer”. It would be the first (and still the only!) beer of its kind tied into the humor and history and shtick from Jewish pop culture and tradition. 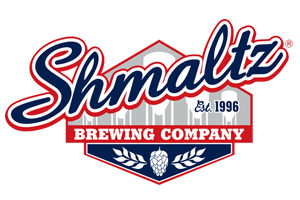 A fun and sincere celebration – and Shmaltz Brewing Company was born! Now, they are celebrating over 20 years of brewing a wide portfolio of award winning beers, a staff of nearly 30, and a 40,000 sq ft brewery cooking their own boutique craft creations as well as brewing for a select group of other brewers as well. Shmaltz brews a variety of diverse styles – lighter/darker, hoppy/malty, ales/lagers, high abv monsters/lower abv sessionable beers – something for everyone! This Gold Medal World Beer Championship Beer is the perfect Session Beer. A tasty and clean craft lager with a hint of rye and wheat in the malt bill and a blast of Pacific Northwest hops in the nose balances creativity with drinkability. Hop Manna is the answer to the hop heads’ prayers for a delicious IPA bearing floral and citrus goodness. It’s crafted to provide session after session of hop nourishment with Centennial, Cascade and Citra hops. Gold Medal – World Beer Championships. Shmaltz Messiah Nut Brown Ale won the Gold Medal at the World Beer Championships with its complex yet smooth blend of bold dark malts revealing hints of chocolate, coffee and toffee paired with a lovely hop character. Rich, smooth and powerful. Makes your heart skip a beat. Brewed with an obscene amount of malt and hops.